Recently, Aurorae Yoga sent me one of their new Northern Lights mats to review. These mats are truly one of a kind. Each individual mat is unique and has a pattern of its own. The Northern Lights mat designs replicate the natural light display in the sky particularly in the high latitude known as Aurora or Northern Lights. You won’t find two mats exactly the same. Aurorae Northern Light Yoga mats are available in 5 beautiful and extremely colorful patterns. Sunset which is full of various shade of yellow and orange. Passion is full of reds and different shades of reds and oranges. Wilderness is full of shades of blues and greens. Sky which has to be one of my favorites is full of different shades of blues. My other favorite color is Energy. Energy is full of different shades of purples and is so unique. 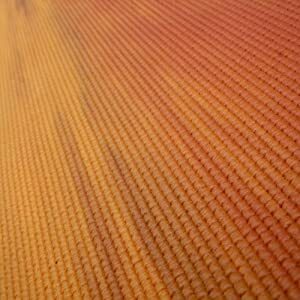 Aurorae Northern Lights Yoga Mats are made of PER Eco Safe and biodegradable materials and are SGS approved. Aurorae Northern Lights Yoga Mats are Latex, Silicone and Phthalates free. I love how large and thick the mats are. Each mat measures 72″ x 24″ and is 5 mm thick to absorb impact on your joints. Aurorae Northern Lights Yoga Mats are durable and long lasting. Aurorae Yoga Mats do not absorb odors like other mats tend to do. Even Cheyenne (who is 2) loves to steal my Northern Lights Mat for her nap time. with the slightest touch of the bag. 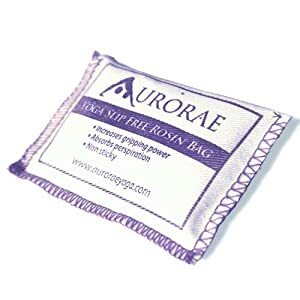 Bags come in a reusable ziplock bag to keep it dry and keeps your Rosin bag fresh.